lucasio I'm not a big fan of Pemmin's Aura , sure it is flexible but not really accomplishing anything in the way of your +1/+1 counter strat. Experiment One also, you already have a decent amount of 1 drops and the Evolve mechanic is pretty meh. I would also recommend maybe some more ramp, the new Incubation Druid would fit in nicely here. Simic Signet probably would be a good choice as well. he other thing to keep in mind if you're new to commander is that 99-card singleton vs 60-card decks with 4 copies of staple cards behave very differently. 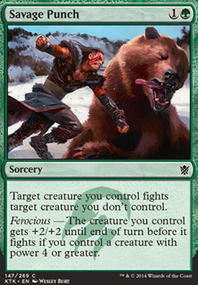 You're only 50/50 to draw two creatures in the first 6 turns. Foster and Heirloom Blade might be good, in addition to a few more leviathans. Deep-Sea Kraken is a great early drop that should be out with haste by turn 5. Mesmerizing Benthid and Elder Deep-Fiend are octopi that can slow down opponents. 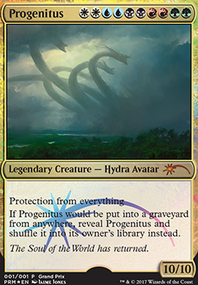 Tromokratis is just a pain for any deck running utility creatures. Nimbus Swimmer can get hilariously large with your ramp package. I think the counterspells that untap lands are clever, for sure. I might also consider Frantic Search for the same reason. If you really want to double down on the flash subtheme, then Leyline of Anticipation and/or Vedalken Orrery are good. 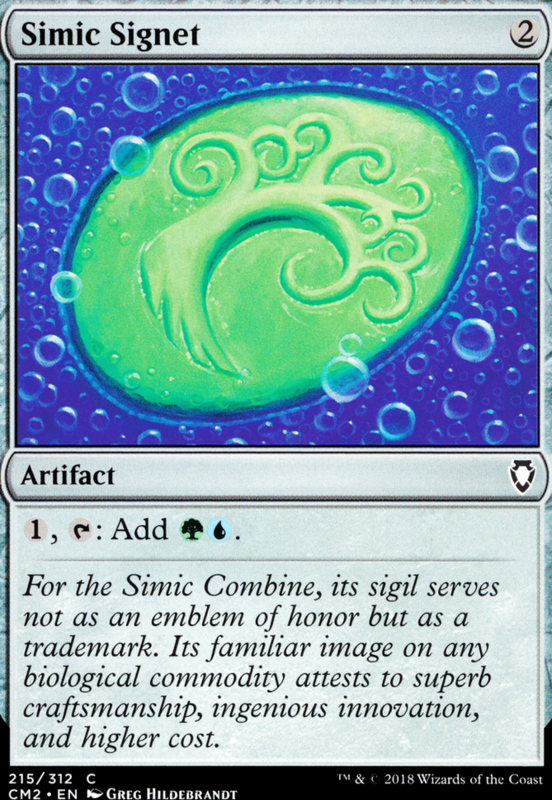 Although, if you want to remove Simic Signet , as well, having very few artifacts or enchantments (that don't win on the spot, anyway), means that Bane of Progress and Wave of Vitriol are both pretty great. Cyclonic Rift is just a straight-up staple, so make that a stretch card when you want to put more into the deck. 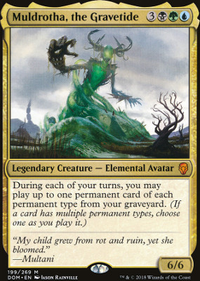 As for tribal stuff, this might be a stretch on your budget, but Herald's Horn and Urza's Incubator are where it's at. Bounty of the Luxa hasn't been all it was hyped up to be when it first came out. I'm not a fan of Foil , since the part of the game when you've got 4 mana but don't have extra untapped lands is pretty narrow. Beyond that, I would check out the sea-creature tribal EDHREC page for Arixmethes. Looks like about 30 people have built decks under that theme, which is lower than I expected, although the decks from the main page might be built as such but not labeled. 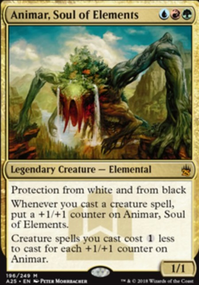 There's also a quirk of tribes with high CMC and low numbers tend to not meet the EDHREC critera for the site's algorithm automatically labelling it as a tribal deck. Hey, for a first Commander deck well done. I'm not sure what your budget is for this deck because I see expensive price cards (Avacyn, Iona, Baneslayer) then also many ultra low budget cards. 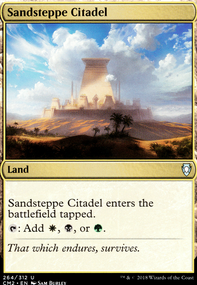 My cards suggestions are low budget ($4 or less each, most are $1-$2) to improve the manabase because when playing three colors you want more dual lands. A 12-12-8 basic land ratio is too many basic lands for a three color deck. There's several budget lands and additional mana production to consider adding. 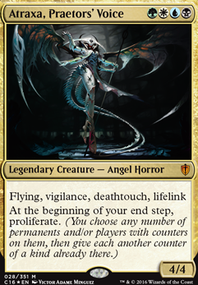 White is the most important color because the majority of Angels are white and have mana costs. Angels have high mana costs therefore more ramp (mana rocks, land ramp, mana docks) are quite helpful to cast them in a game. Canopy Vista, Prairie Stream, Port Town, Fortified Village, Ash Barrens and Bant Panorama have interaction with basic lands. Vista, Stream, Scattered Groves, Irrigated Farmland can be searched for with Farseek since these lands are two different land types. Vista and Groves can be search for with Nature's Lore since they have Forest as one of the two land types. Being able to search for and ramp with dual lands is helpful with a three color manabase. Signets and Talimans are good two drop mana rocks for ramp in Commander decks. Fellwar Stone and Chromatic Lantern are rainbow mana rocks. Very helpful for mana fixing since Lantern lets you tap any land you control for any one color of mana which is good with a three color manabase. Elvish Mystic and Avacyn's Pilgrim are additional one drop mana dorks. If your deck's budget is higher than I think it is please let me know and I can give you better land suggestions. There's other budget card upgrades you can make here and if you're interested I offer more advice.